I started pitching sidearm to righties in the minors in 1942. I was a 3/4’s guy like a lot of pitchers today, not straight over the top. It was a spot pitch for me that I would use sometimes vs better hitters when I was ahead with two strikes. My biggest advantage was that I pitched from the right side of the rubber, so when I did drop down to sidearm, the must have looked to the hitter like it was coming in from behind him. Most of the time I only dropped down to big powerful righties, like DiMaggio and Greenberg. They were some great hitters in the 40’s. It can be an effective pitch versus same side hitters. Try it and see if it works, why not. No not really. For me going sidearm just came naturally I guess, trust your arm. I threw: fastball, curve, change, towards end of my career I threw a slider. I wasn’t an overpowering pitcher, wasn’t a Bob Feller. Was never going to blow it by a hitter but always had really good control. Righties- I would go right after them and hit my spots. More fast/curve…lefties- I would mix it up, inside-outside, up-down, tried to make sure I could show them I could come in. Used my change more to them. 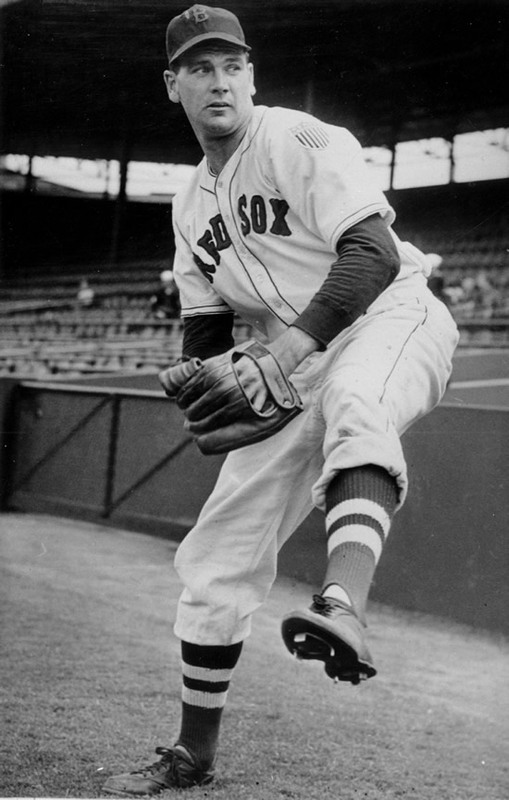 I was thankful to pitch in a World Series game in 1946 in Fenway Park. It was against a very solid Cardinals team with Stan Musial, Red Schoendienst, Enos Slaughter and I shut them out. It’s every baseball players dream to play in a World Series and I got to do that.